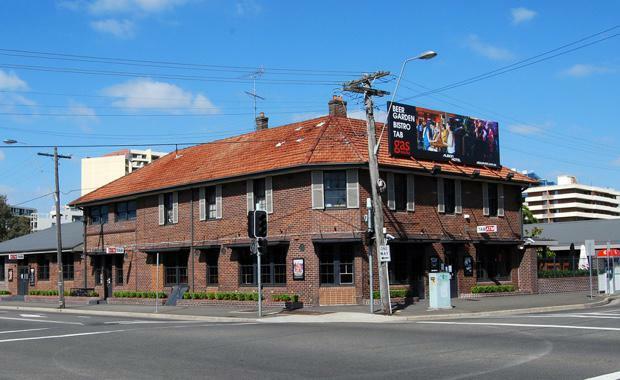 After more than 30 years in private hands one of Parramatta's best development sites has hit the market wth the 3,000 sqm Albion Hotel expected to generate strong interest. Bruce Solomon's hotel and restaurant group Solotel has put the riverside Albion Hotel land up for sale through Ray White's Andrew Jolliffe and Jeff Moxham and Anthony Khoury of Khoury Partners. Mr Moxham believes Parramatta, a city which he has sold property in for two decades, is at the top of the list for developers in the market. "Parramatta is most definitely a hot bed of activity at present, and for good reason given not only its strategic geography but the numerous significant infrastructure projects underway,” said Ray White Commercial NSW Managing Director Jeff Moxham. With the site’s recent Gateway status endorsement as part of a Planning Proposal submitted to Parramatta Council in March 2015, Mr Solomon said the time was right to divest the land. Solotel will retain and relocate the hotel licence and invest the sale proceeds in further growing the business, which already includes Double Bay's Golden Sheaf, Aria and Chiswick restaurants, and the now world famous Opera Bar at Circular Quay. Agent Andrew Jolliffe said the George St site would appeal to hotel and residential developers alike; including a mixed use outcome. “The flexibility afforded by this site is absolutely key for developers, and the combination of riverside positioning, north east orientation, scale of the land holding and permissible height levels, suggests to us that the interest in acquiring the opportunity will be both aggressive and certainly not restricted to local Australian development groups,” said Mr Jolliffe, Ray White's Asia Pacific Director of Hotels. “We recently ran a hotel operator selection process for a China based client of ours, for a mixed use site they had in Chatswood, and the international interest from recognised hotel operators, developers and investors was profound. Walker Corporation, Leighton Holdings, Iris Capital, Dyldam, Toplace, Crown and China based Greenland, Chiwayland and Starryland, have all heavily invested in the Parramatta CBD, and several other Tier 1 developers are still looking to place a stake in the ground, said Anthony Khoury of Khoury and Partners. “And it is not just the residential market that is drawing wide interest, Parramatta is now also experiencing its lowest office vacancy in history with 6% on all grades. Now also the lowest office vacancy nationally,” he said. The sale of the Albion Hotel will be via an Expressions of Interest campaign concluding Wednesday, March 16, 2016.